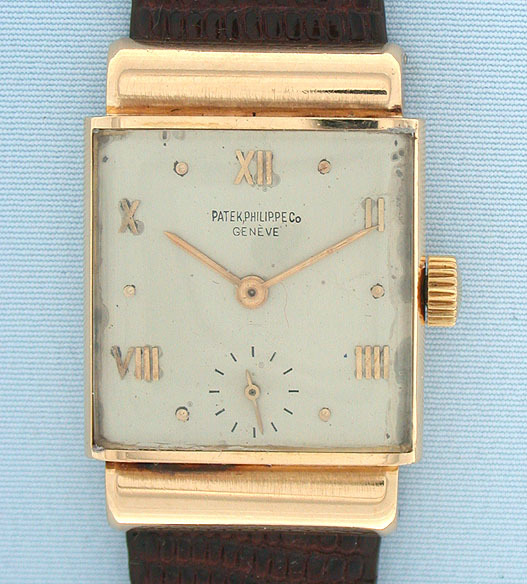 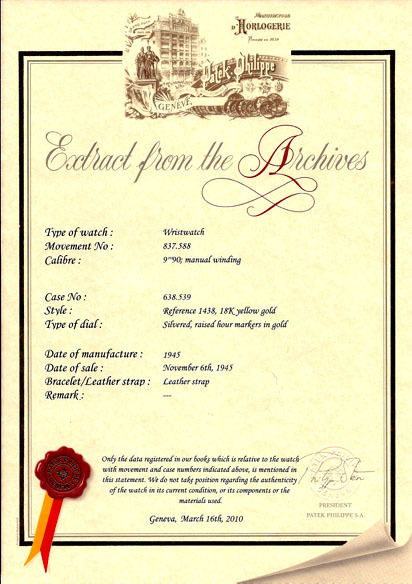 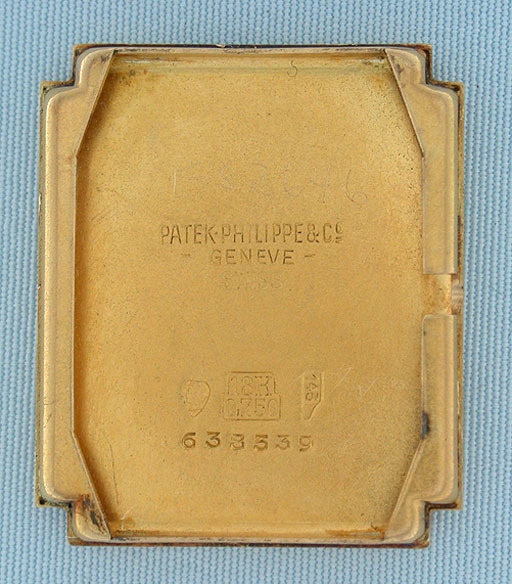 Fine Patek Philippe 18K gold vintage wrist watch with hooded lugs and certificate circa 1945. 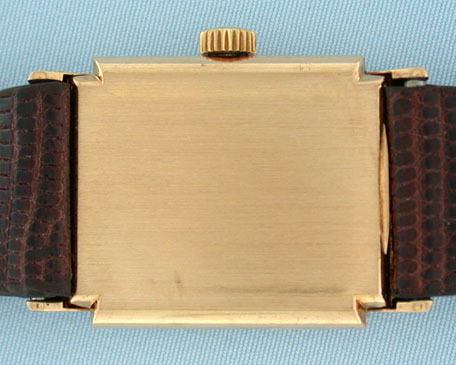 Original aged silver dial dial with applied gold markings and gold hands. 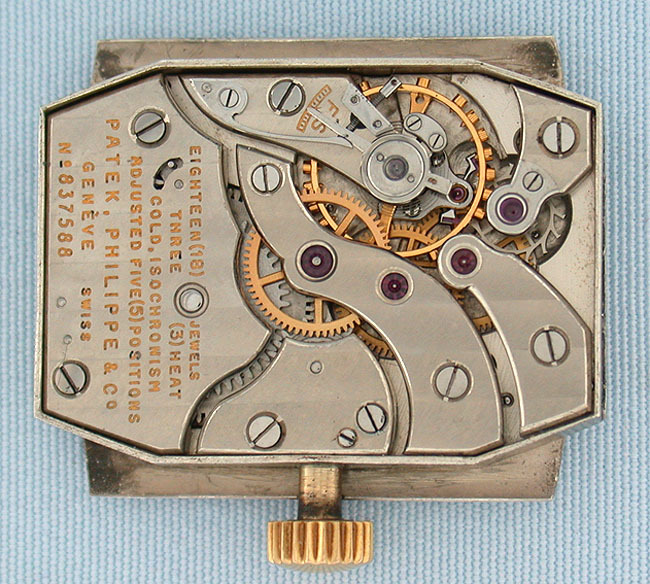 Nickel 18 jewel 8 adjustment movement with precision regulator.